Cleft lip and palate (CLP) patients often require orthognathic surgical correction due to maxillary hypoplasia secondary to primary surgeries, through either distraction osteogenesis (DO) or conventional orthognathic surgery (CO). The objective was to evaluate both surgical techniques regarding functional, aesthetics and quality-of-life and stability outcomes for the patient. 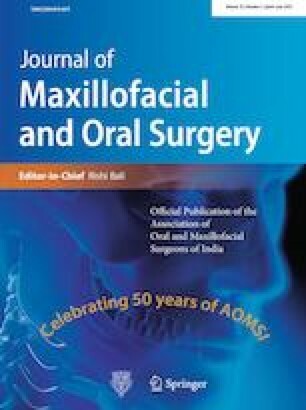 The PubMed database was searched with the inclusion criteria: studies in English detailing maxillary orthognathic surgery on non-syndromic patients with CLP. Clinical trials, systematic reviews, meta-analysis, reviews, randomized control trials were included. Studies with less than five patients and studies reporting bimaxillary surgery were excluded. References lists of these studies were consulted for more studies to be included. Studies were then evaluated for relevance, quality checked for risk of bias and divided based on the results studied. In total, 22 studies published between 1997 and 2017 were included. Most studies had low levels of bias. The evidence to support one surgical technique before the other was low. DO offered better stability. No clear evidence exists on which technique had the best aesthetic results and functional improvement. DO may cause higher levels of anxiety and distress in patients compared to CO. Regarding all outcomes studied, the scrutinized literature did not allow for the recommendation of one specific technique. Future multicentre collaboration may enable greater sample size and better statistical comparison of results of both techniques.